Well, it's good to have a few spare minutes to get myself back into the swing of writing I must admit. My time has been totally absorbed recently with all things "I'm becoming a childminder" related - safety proofing the house, preparing for a (four hour!) Ofsted inspection, planning, paperwork, putting together welcome packs, sourcing double buggies that don't cost the earth (all help still welcome here people), toys - the list is actually endless and I'm nowhere near done yet. But it's this little fact, the one where I'm potentially going to be having anything up to six children in my home throughout the day - possibly more when you consider before and after school kiddies - that made me realise just how much more of everything I'm going to need and how much more of everything I am going to be using. And then when Yorkshire Water made me aware of their #ReasonsToSave campaign well I knew I had to take action. 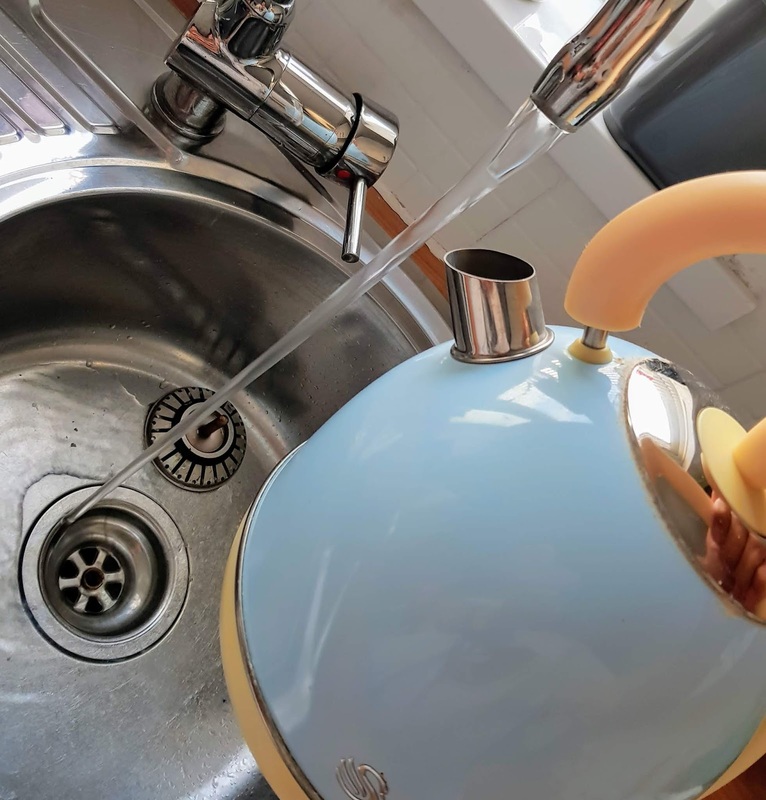 Yorkshire Water's campaign is all about trying to reduce the amount of water it's customers use in a bid to provide a better, higher quality service but to also protect the environment. I was shocked to find out that on average a person will use 140 litres of water per day. That's every single person, every single day - now that is a lot of water - and, when I've sat back and actually looked at how we use our water, I'd say a lot of that is wasted usage too. ...and we will run at least three baths, maybe four, each and every day - my son gets one in a morning before school and myself, my little girl and Husband all get them before bed, and these are never small-just-enough-to-wash-in baths either - they are all full, lay-back-and-relax type baths too (apart from my little girls!). It's just all too much - too much wastage. So when I look at what it's all going to be like once I have a houseful of children, well it's a bit scary really. I really do need to change my habits now so the changes will actually make a difference when the hordes of children descend. So I'm taking on Yorkshire Water's challenge and am trying to limit the amount of water we use down to 90 litres per day per person and we've been giving it a go already but it's really not that easy, especially when I have to remind everyone else of what they need to be doing all of the time. But we really do want to do our little bit to help the environment...and hopefully save ourselves a few pounds in the process too.